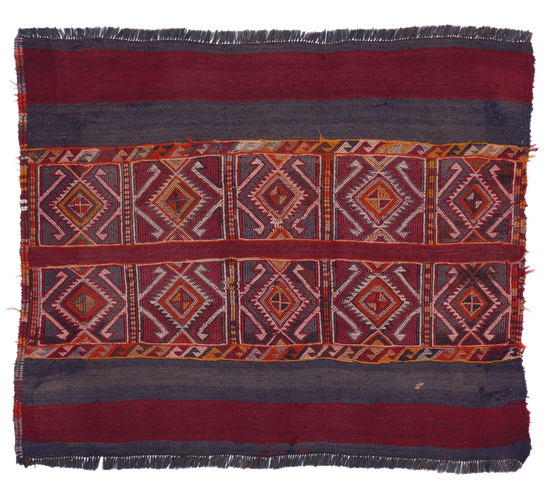 It is an original nomadic hand-woven piece weaved in two techniques: kilim and sumak. It was originally used as a grain bag (çuval). 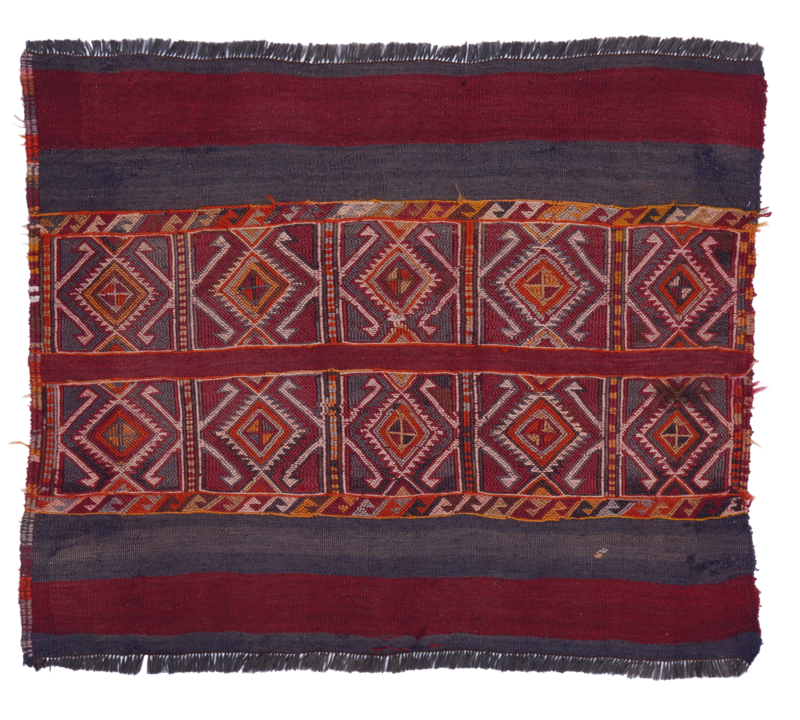 With multicoloured embroidery.